Please note: The websites of the “Electrochemical Science and Technology Information Resource (ESTIR),” “Electrochemistry Encyclopedia” and “Electrochemistry Dictionary” used to be included in the website of the Yeager Center. They are now available at an Electrochemical Society (ECS) site, http://knowledge.electrochem.org/. A set of rooms is available at the Glidden House (1901 Ford Drive, Cleveland, OH 44106. Phone: 216-658-9107), only a couple of blocks away from the site of the Workshop. 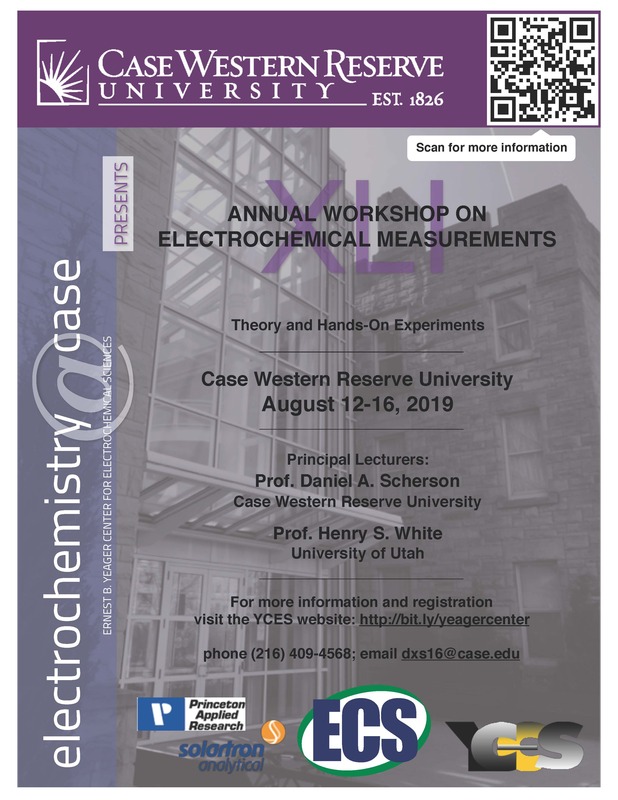 For reservations, please call 216-231-8900 and ask for a room in the YCES Workshop on Electrochemical Measurements 2019 (Block code is 190315YCES). Fill out the registration form with your information and click submit.